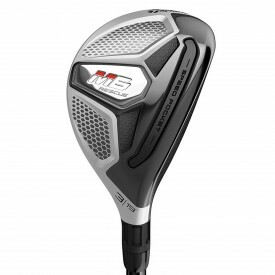 Following on from the success of the M4 fairway wood, TaylorMade have released the new M6 fairway wood available with full custom fit options. Taylormade have changed the head design in the M6 to make a slightly deeper face and even larger carbon crown than previous models meaning an increase in play-ability and optimal distance. The M6 fairway wood has added TwistFace technology which has been specially designed to fit the inertia properties of the M6 fairway wood. An improvement in the Speed Pocket has been made to improve the slot flexibility to create a larger COR area and perform better on off centre. Turf interaction has been improved by a new TPU slot insert which sits more flush to the surface.